Luis Rodríguez Olivera, alia "El Güero", has been detained by authorities at the International Airport in Mexico City. Rodríguez Olivera is an alleged drug trafficker with a long history of moving cocaine from Colombia and Peru, through Mexico, and into the United States. The United States government had a $5 million bounty on his head. The detention occurred on Tuesday, December 27th, when a group of federal agents located the 39-year-old suspect, who also goes by the name José Luis Sánchez Jiménez, at the airport in Mexico’s capital city. “This alleged criminal is accused of laundering money, as well as conspiracy to import, possess and distribute cocaine into the United States.” According to intelligence reports, the dominant route was through the State of Texas. The United State had an international arrest warrant out for Rodríguez Olivera that had been outstanding since May 22, 2010. The alleged drug trafficker originally hails from Tecalitan, in Jalisco. According to Mexico’s SSP, Rodríguez Olivera, together with his brothers Esteban, Daniel and Miguel, was a member of a criminal group called "Los Güeritos" that has been connected to the trafficking and importation of many tons of cocaine into the United State between 1996 and 2008. This organization supposedly worked for the Sinaloa Cartel (also known as the Pacific Cartel), whose leader is the Mexican drug lord Joaquín "el Chapo" Guzmán, the most wanted man in the Americas. 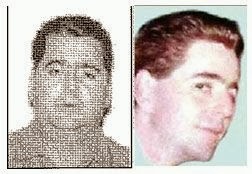 Amongst the Rodriguez Olivera clan, Stephen was arrested in Mexico in 2008 for extradition to the United States, and Michael died in the Mexican state of Yucatan in August 2011. Only Daniel remains at large. Historically, the Rodriguez-Olivera organization had a strong working relationship with the Sinaloa Cartel. However, according to the United States Government, around 2005 the brothers split from the Cartel when Luis and Esteban Rodriguez-Olivera failed to pledge allegiance to Ignacio Coronel-Villareal. Choosing also not to ally with the Gulf Cartel, Los Güeritosrelocated to Leon, Guanajuato, in order to continue their operations. Once in Leon, Los Gueros established a strong relationship with Los Zetas. "El Güero" has now been taken to a federal penitentiary to await prosecution.